Welcome to Surrey! Welcome Week runs 23 – 28 September and is a programme of events, talks and social activities to help you find your feet, get ready to study and meet new friends. *Timetable subject to change, please check back regularly. Where will you be based during your studies? Which best describes your nationality? As a student on the International Foundation Year course, you will need to attend an induction programme. Find out more. As a distance learner, there are a couple of tasks you’ll need to complete before beginning your programme. Find out more. What type of course will you be studying? Which course will you be studying? Activating your IT account before you arrive means that you can start receiving important University emails, complete the first step of University registration online, and get access to Surrey's IT services once you are here. 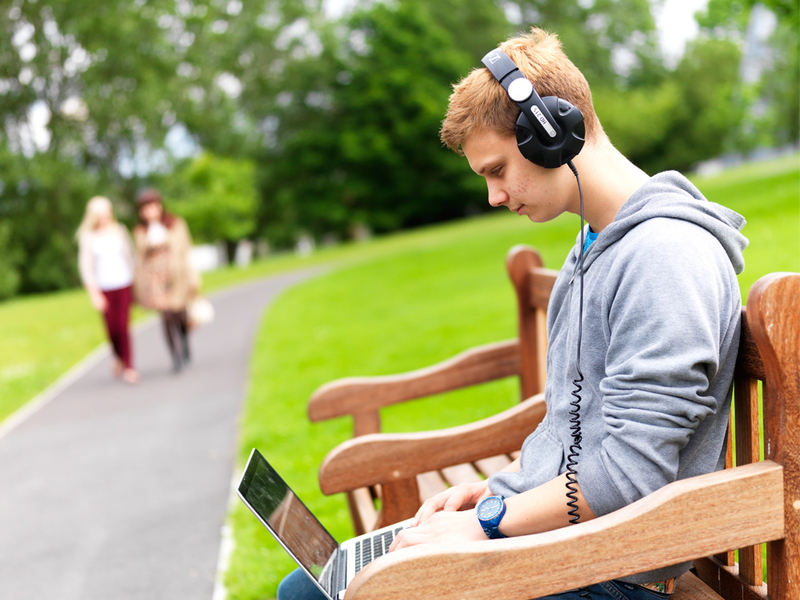 You can activate your IT account as soon as you have received your welcome email confirming your place at Surrey. To do this, you’ll just need to enter your University number (found in your welcome email from the University) and your date of birth. You’ll then be given a username and be asked to set a password. Go to Surrey Self-Service to complete online registration. If you experience any difficulties, please follow the instructions on the screen. We advise you to re-visit programme pages prior to completing online registration, as sometimes it’s necessary to make amendments to module titles, content and availability. Within Surrey Self-Service, click on ‘Registration’ and complete the required steps. As part of the online registration process you will be asked to upload a photo of yourself, which will be used for your campus card. Your campus card will be pre-printed and available for you to collect when you register in person during Welcome Week. Only those students who have completed online registration and uploaded a photo by 14 September will have their campus card pre-printed. Anyone registering online after 14 September (or if your uploaded photo is not suitable), will have to have their photo taken as part of the registration process during Welcome Week. As there may be long queues, we encourage you to complete online registration and upload your photo by 14 September! We are required to make sure all our students are eligible to study in the UK. We’re asking for UK and EU nationals to upload documents as part of online registration, which will be stored securely on your student record. Visa/immigration documentation – for example, if you hold Indefinite Leave to Remain, please upload your BRP card or stamp/sticker in your passport. Make sure you upload the document you will be able to bring with you in Welcome Week as we will need to verify this – it must be valid and ideally shouldn’t expire before the start of your course. If you’re not able to upload a document, we’ll need to take a scan in Welcome Week, which may delay the completion of your registration. On completion of online registration you’ll receive your ‘Confirmation of pre-registration’, which you can either print or save to your phone. Please bring this along to your registration session during Welcome Week. Your IT account will also be enabled on completion of Online Registration so you can access the University of Surrey’s IT Services. Please be aware it can take between 24–48 hours after completion of online registration before all IT services are available. If you need support or have any queries, you can find out more at IT at Surrey. You can also find us on Facebook and Twitter. If you are living in University accommodation, you may also want to find out more about ResNet, the internet in your room. Visit Surrey Self-Service to complete online registration. If you experience any difficulties, please follow the instructions on the screen. Only those students who have completed online registration and uploaded a photo by 14 September will have their campus card pre-printed. Anyone registering online after 14 September (or if your uploaded photo is not suitable), will have to have their photo taken as part of the registration process during Welcome Week. As there may be long queues, we encourage you to complete online registration and upload your photo by 14 September. If you need support or have any queries, you can find out more about IT at Surrey. You can also find us on Facebook and Twitter. As a current student of the University you need to re-register for your programme. You should have already received details of the process by email, but if you have not yet re-registered please visit Surrey Self-Service. Log in using your University username and password to complete the process. Please note that the University's General Regulations require all students to re-register at the beginning of each academic year. If you are having difficulty logging in, please contact: usersupport@surrey.ac.uk. For any other query, please choose ‘ASK Surrey’ from the menu on Surrey Self-Service. Print (or save to your phone) your confirmation of pre-registration.